On April 20, 2014, the Tau Psi Chapter of Alpha Kappa Alpha Sorority, Inc. was chartered on the campus of Methodist University by 12 beautiful ladies by the names of: Erica Williams, Jada Aponte, Chare Perkins, Sparkle Irby, Jaylynne Williams, Tashara Robinson, Sheena Williams, Amber Bayton, Brianna Beck, Shawntavia Smith, Arshay Grant, and Chenoa Nixon. For decades, the vision to have this illustrious organization to join with Methodist finally was realized. 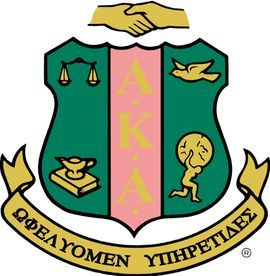 Twelve beautiful young women bonded together with determination and support from the Mid-Atlantic Region - Alpha Kappa Alpha Sorority, Incorporatedand the Upsilon Kappa Omega Chapter of Alpha Kappa Alpha Sorority, Inc. to bring the dream to reality. Now, the work has only just begun. Our Guiding Light, Ethel Hedgeman Lyle, wrote the vision in 1907. That vision became reality on January 15, 1908 and continues today in the hearts of each Alpha Kappa Alpha lady. Alpha Kappa Alpha, Tau Psi Chapter - Methodist University will honor the vision and dream through its activities on and off campus. Our members will uphold the standards of the organization in each of our endeavors. We thank you all for welcoming us so graciously into your hearts. We promise that we will not disappoint!